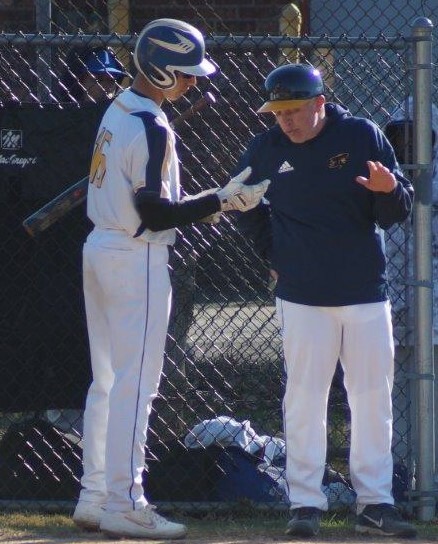 Entering his 13th season, Joe Sorce has become one of, it not the longest-tenured head coach in the history of Belleville High’s varsity baseball program. And that’s saying something, considering the talented teams which have graced the diamonds for the Blue and Gold for the past half century. Sorce had succeeded Alan Frank in 2007, after Frank held the job for eight seasons (1999-2006). Frank had also played for Belleville High from 1971-1973 and was named to the All-State team in ’72 and ’73. Prior to Frank, Chuck Martin was head coach for five years (1994-1998) after being an assistant to Nick Grande, who held the job for six years (1988-1993). Of course, the late George Zanfini was a legendary coach at BHS, with the varsity baseball field re-named in his honor in 2008. Zanfini was head coach from 1975-1982 and again in 1987. He also guided the Bucs to its only GNT championship, to date, in 1981. Ralph LaConte was Belleville’s coach from 1983-1986 and before that, it was Charley Travers. So with that said, Sorce, a long-time educator in the Belleville school system, is excited about the 2019 season. “We’re getting very good leadership from five seniors with varsity experience,” said Sorce. Brian Defreites, a shortstop, will once again be Belleville’s leadoff hitter. Third basemen Chris Amparo will provide a strong bat as the team’s number three batter and his defense has shown marked improvement. Outfielder and pitcher Sebastian Alverio is swinging the bat well, according to Sorce. Derek Lombardi will do the bulk of the catching this season. In what shouldn’t be a surprise, the baseball field at BHS wasn’t ready for the start of the season. “Unfortunately the varsity baseball field is not ready, so we will start the season on the road,” said Sorce. Nevertheless, Belleville was off to a 3-1 start through games of April 9. 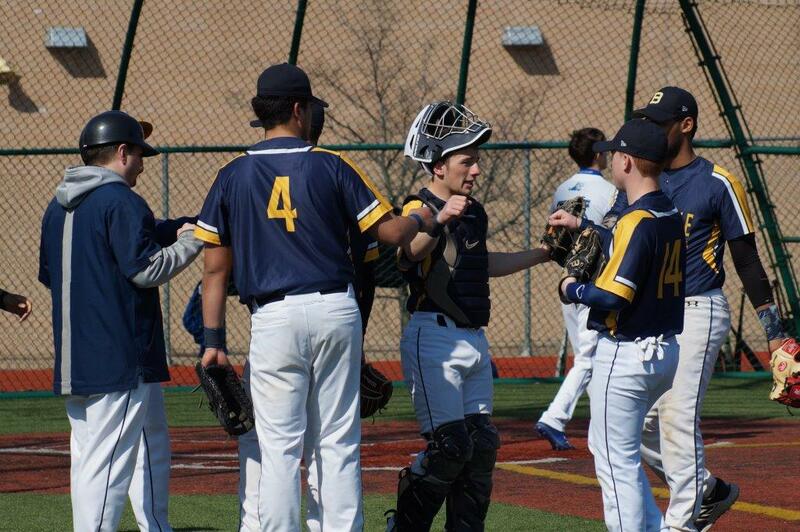 The Bucs defeated Irvington in the season opener, 22-1, while also defeating Harrison, 16-5, and Barringer, 6-3. The only setback was a 9-8 loss to Edison. The Bucs had an 8-4 lead at Edison, but the home team scored five times in the bottom of the seventh to win. 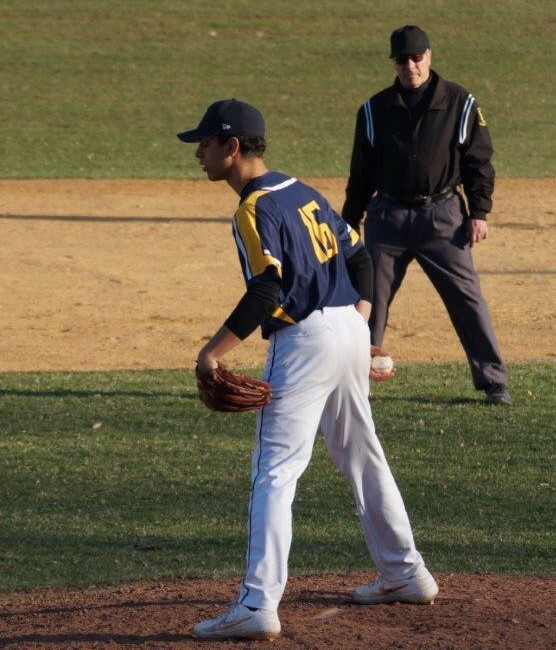 Versus Harrison, Albert Carrero struck out seven and walked one to pick up the victory and Monroig had two hits and drove in two runs. Arroyo scattered five hits against Barringer to get the victory on the mound while Alverio, Carrero, Jiustino Cecere and Monroig drove in runs for the Bucs. Ranking high school teams early in the season are more for appearances than anything else. As far as high school softball, it’s difficult to figure out where teams are, past their record, in early April, as schedules tend to be altered, due to the inclement weather, and a lot of teams playing in early-season tournaments. But as far as Essex County softball, here’s a quick look at the first Top 10 of the season, from this column. 1-Cedar Grove (5-1): Panthers have looked good in the early going, with quality wins over Steinert, Mount St. Dominic and Verona. 2-Mount St. Dominic (5-2): Lions will always play a tough schedule, which makes them even better when it comes to county and state tournaments next month. 3-West Essex (3-1): A big surprise in the early going, as Julia Vardiman paces a young Knights squad, which bounced back from a season-opening loss to Mount St. Dominic with two big SEC American wins. They’ll face Cedar Grove on April 10. 4-Livingston (5-0): Lancers are the favorites in the SEC Liberty and will find out a lot more about itself when team hosts Mount St. Dominic on April 10. Livingston’s last win over MSDA came in 2014. 5-Verona (3-3): Hillbillies have good pitching and are hopeful of a steady offensive attack. 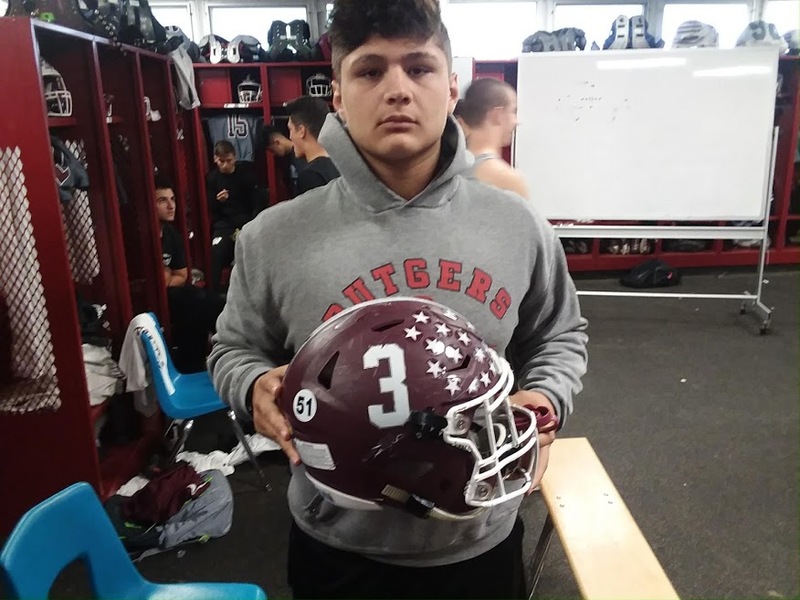 6-Nutley (1-2): A young nucleus, along with a strong returning core, will make the Raiders formidable in 2019. 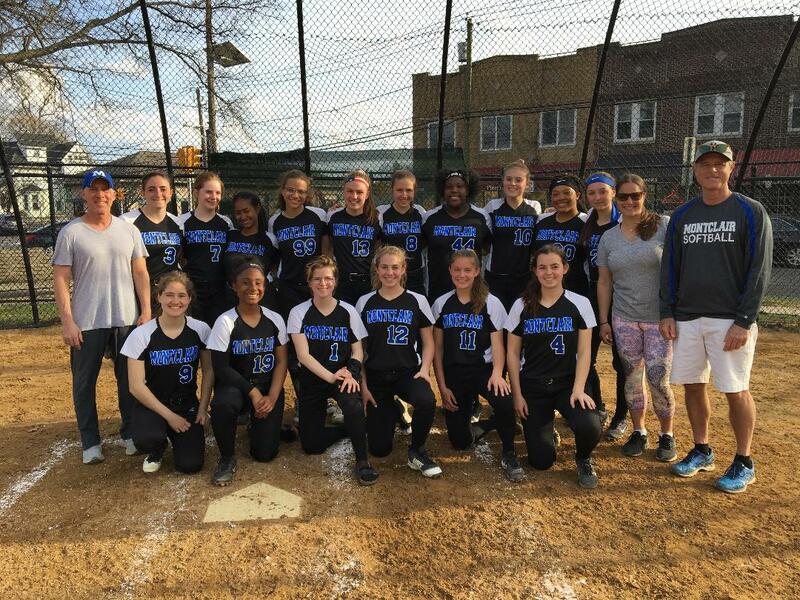 7-Montclair (4-1): Mounties rallied from 8 down to defeat Columbia on April 9. 8-Caldwell (3-2): Chiefs are playing in the SEC American this year, which will make for a tougher all-around schedule, but there’s a lot of power in that lineup. 9-Columbia (3-2): Cougars are 2 innings removed from a 5-0 record, after leading in both losses in the sixth inning. 10-Millburn (1-3): Like Caldwell, the Millers are playing in the SEC American this year, with a young nucleus. Montclair coach Mike Goldstein had a somewhat surprised look on his face, shortly after his team recorded the final out in a bizarre game, at home, against Super Essex Conference (SEC) Liberty Division rival Columbia, as the Mounties rallied to win, 15-12, on April 9. Goldstein’s Mounties were on the short end of an 11-3 deficit, in the bottom of the sixth, as ominous clouds covered Grove Street Field. Columbia’s starting pitcher, Julia Ethan, was pitching a solid game. Ethan was struck in the leg by a line drive in the sixth and was forced to leave the game. Montclair was able to capitalize with some clutch hitting to score 12 runs. In between the rally, which included some seeing-eye singles and hard hit balls in the gap, there was a major downpour which almost cost the Mounties the game. Because, even though Montclair (4-1) had taken a 15-11 lead in the sixth, with the outburst, if the rain had lasted a few more minutes, the field would have been unplayable. Since the sixth inning hadn’t ended and Montclair was still batting, the rule calls for the game to return to the last full inning played, meaning Columbia’s 11-3 lead after five full would have held up for a Cougars win. But the rain subsided enough to allow the umpires the continue the contest. Down four runs in the seventh, Columbia (3-2) did stage a rally, scoring once and loading the bases with two outs before Aliyah Andrews, Montclair’s starting pitcher who was removed after five innings, re-entered in the seventh, and struck out the final hitter to secure the save. Emily Amirata pitched the sixth inning and was credited with the victory. Paige Carlson, Olivia Miller and Claire Salinardo had three hits each for Columbia while Sydney Waldon had two hits and drew a pair of walks. Salinardo scored three times and drove in two and Hudson Hassler doubled and scored twice. Montclair was paced by Charlotte Carr and Brianna Leech, who both had monster games. Carr finished with three hits, including a double, three RBI and two runs scored and Leech was also 3-for-4 with two runs scored and two RBI. Luella St. Pierre was 2-for 2 and Aliyah Taylor, Francesca Testa and Milani Davis also had two hits each. Remi Antinoro hit a triple and drove in two. Montclair and Columbia are among the top teams, along with Livingston, to win the SEC Liberty. Montclair’s lone loss was a 13-11 setback to Bloomfield on opening day while Columbia now has two league losses, to Livingston and Montclair. In both of those games, the Cougars held late inning leads. Livingston was undefeated through games of April 9, heading into an SEC crossover game with Mount St. Dominic on April 10. Montclair was scheduled to play at Newark Academy, on April 10. “Hey look, we have a lot of work to do,” said Goldstein. “We’re playing hard, and that’s what gave us a chance to win today. We now go to Newark Academy, and they have a really potent lineup, especially from 1 to 5, so we have to put this behind us and prepare for a tough road game. 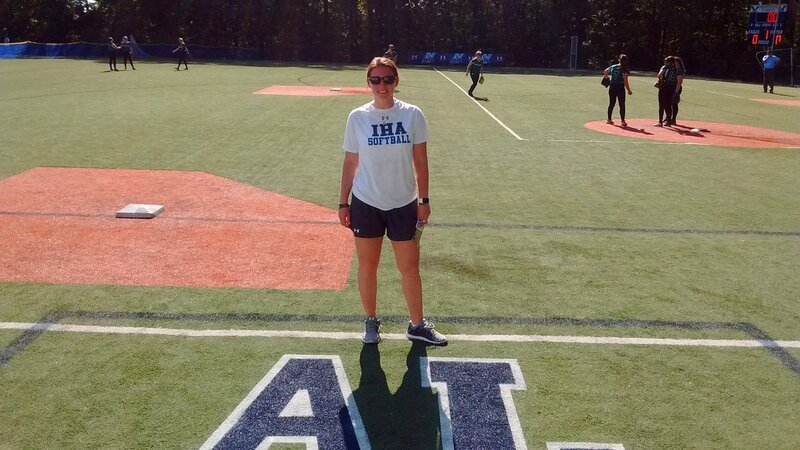 It’s hard to believe that what was once known as the IHA Softball Invitational is now in its fourth year honoring the late Anthony LaRezza, but it is. Anthony left us suddenly on Feb. 4, 2016, just a few weeks after celebrating his 50th birthday. And during that time, his beloved Immaculate Heart Academy has gone on to win two Non-Public A state championships, as well as a thrilling win in the first NJSIAA Tournament of Champions, in 2017. 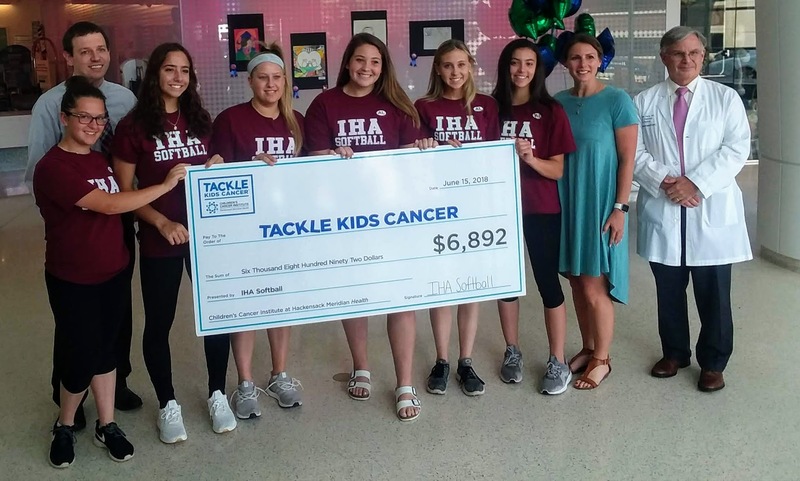 The IHA players all knew their coach was still watching over them. The Anthony LaRezza Invitational will welcome six teams on April 13, with a nice variety of teams coming from Union, Bergen and Essex Counties. Olivia Sprofera, here at the 2017 invitational, is flanked by Anthony’s brothers Allen (left) and Joe. At 11 a.m., Saddle Brook will take on Oak Knoll. That game will be followed by a 1 p.m. contest between West Essex and Mahwah. The third and final game will be at 3 p.m. when Livingston takes on IHA. All three games will be played at the IHA facility. 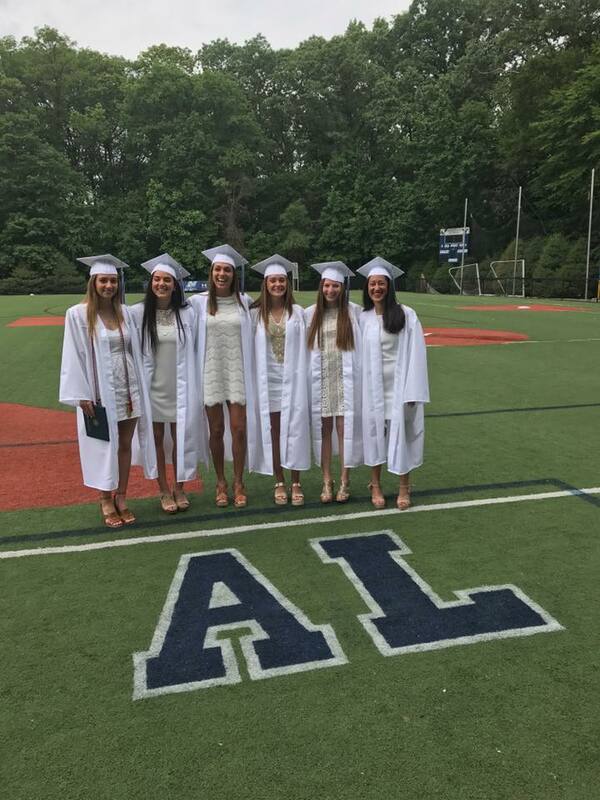 In 2017, the field at IHA was donned with Anthony’s initials, on the third base line. 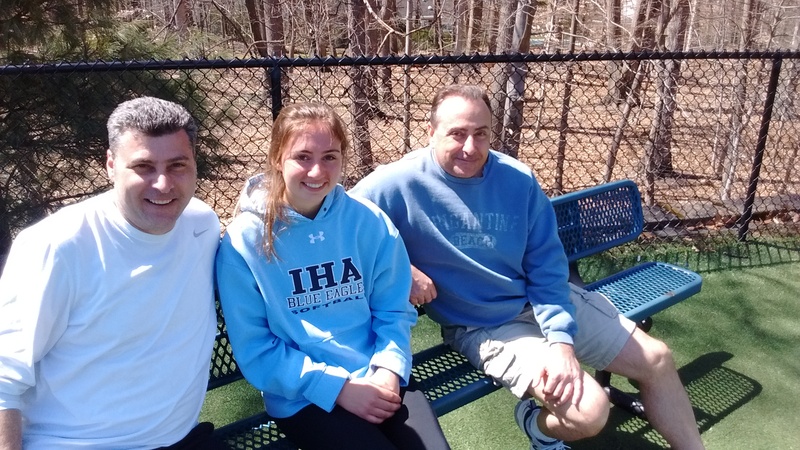 Anthony loved hosting the IHA Invitational for many years. When he wasn’t coaching, he’d be running around the facility, thanking people for coming, handing out softballs for MVP accolades and, asking anyone if they wanted something to eat at the legendary snack stand and, like I always kidded him, it looked like he was running for office. In 2014, Anthony (center) led the way as Steph Thomas (third from left) set the state record for most pitching wins, in an early June contest at IHA. 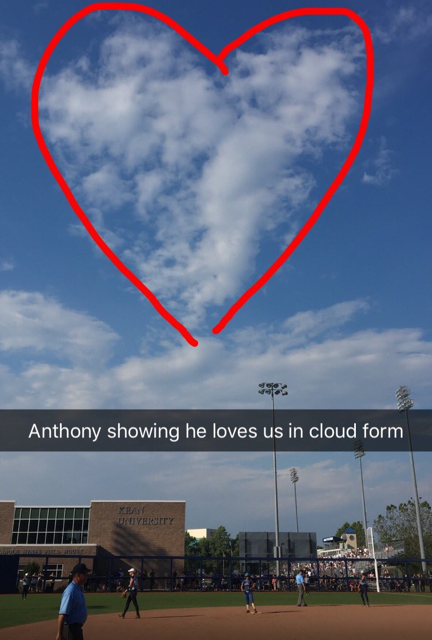 It was natural for the tournament to gain Anthony’s name when he passed away, and the hard work the coaching staff and players continue to do to raise money for cancer research speaks for itself. 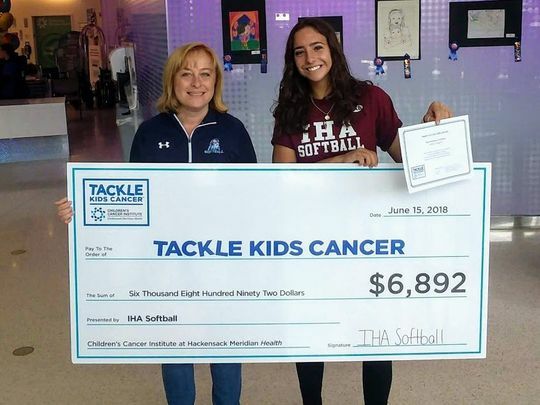 In 2018, IHA’s Emily Gyongyosi, here with her mom, Sue, helped present a large check, on behalf of the IHA softball program (below) to Hackensack Hospital, benefiting Tackle Kids Cancer, a charity near and dear to Anthony’s heart. And let’s not forget what Anthony did full time. 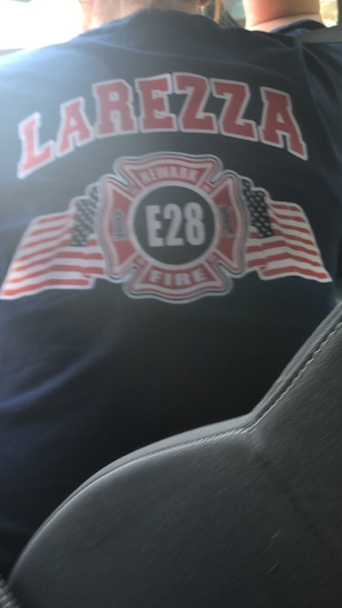 He was among Newark’s bravest, as a firefighter. And it’s not surprising that his Engine number, 28, is being honored by IHA junior pitcher, Ryleigh White, who wears No. 28, on the back of her jersey. I remember the first few games that IHA played, barely two months after Anthony passed away. There were numerous dedications by opposing teams, paying homage to LaRezza, and needless to say, the emotions took its toll on the team, early in the season. The Eagles celebrated a third straight Non-Public A championship at Kean University, in 2017. Graduation Day, in 2017, at IHA. 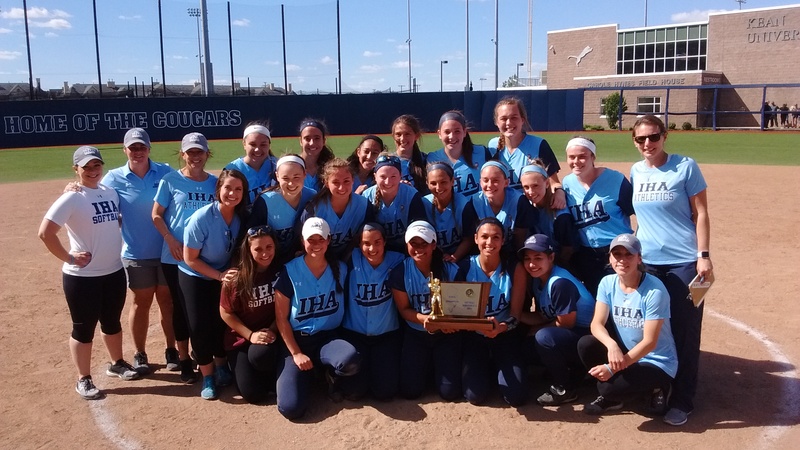 Once the 2016 season picked up steam, so did IHA, which won 30 straight games after a 1-1 start and won the Non-Public A state title for a second straight year. A three-peat would occur in 2017, including a scintilating victory against Lodi Immaculate in the first-ever Tournament of Champions. In the season opener, on April 1, 2016, at Paramus Catholic, the IHA players stood hand-in-hand on the first base line for a pre-game ceremony, honoring Anthony. 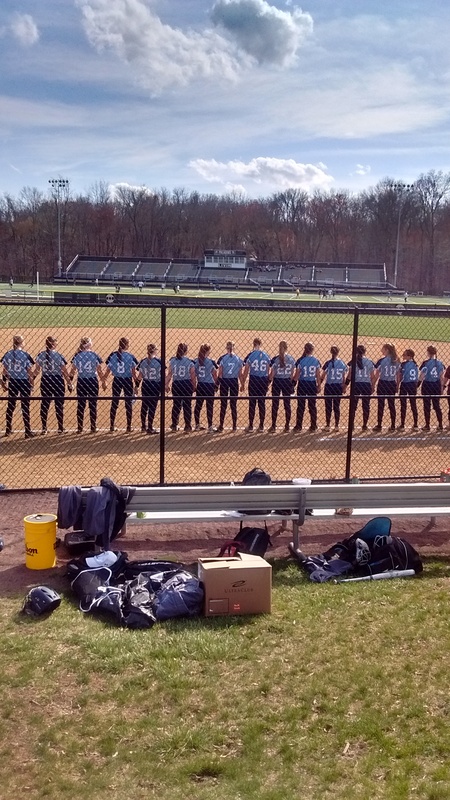 With a new season underway, IHA is off to a 4-0 start, as it looks to regain a county and state title this spring. 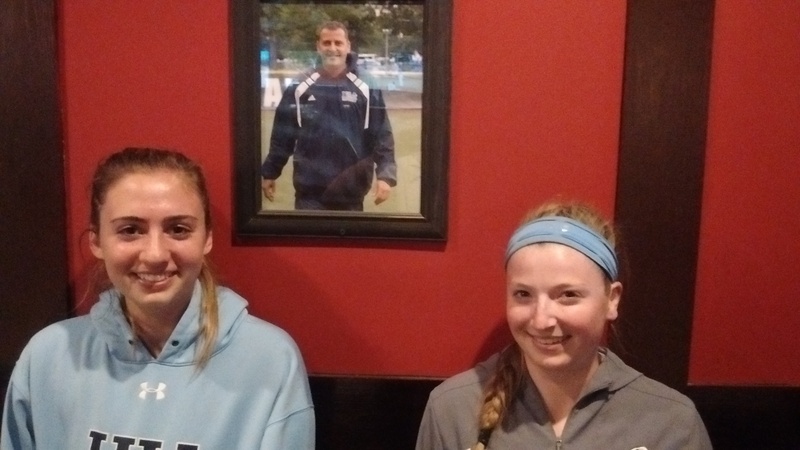 Olivia Sprofera (left) and Ally (Ally, Ally, Ally) Dudek never forgot their coach’s legacy. Shortly before the field umpire felt the need to shut down Passaic Valley’s classic walk-up music, Shana Donnelly’s first plate appearance was accompanied by Frank Sinatra’s ‘Fly Me to the Moon’. Donnelly used the song to her benefit, as she pitched six solid innings and also contributed at the plate, as Passaic Valley improved to 3-0 with a key victory over a good West Milford team, 8-5, in Little Falls, on April 8. Donnelly, a junior, improved to 2-0 on the season while Jada Rodriguez and Taylor Hill hit homers, as PV opened an 8-1 lead after five innings. Donnelly pitched into the seventh before giving way to freshman Sophia Payne. Payne then worked out of a jam after West Milford had scored once. With each game, Hill is becoming more confident with her young team. 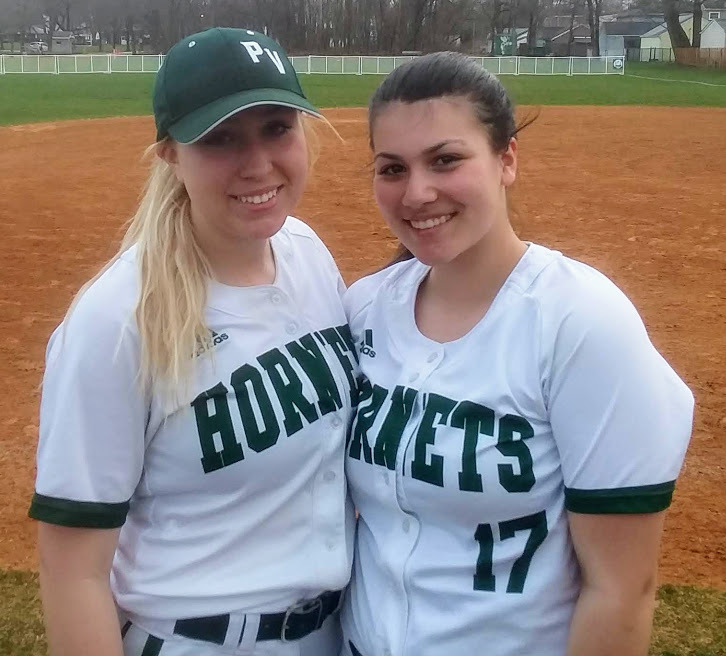 Passaic Valley also received outstanding outfield play, from Madison Leech, Rodriguez and Savannah VanWinkle, a freshman, who was solid in leftfield. At the plate, Rachel Alecci had two hits for the Hornets. While a win over a quality team in West Milford is always welcomed, Hill wasn’t looking too far ahead. Passaic Valley once again used the long ball to its advantage. Taylor hit her third homer in as many games in the third inning, on a 3-1 fastball, while Rodriguez crushed one over the left field fence for a 3-run homer in the second inning, when PV opened a 5-1 lead. OPINION: As far as the field umpire at the game, who decided that a six-second song, per batter, before the batter entered the box, was too much, here’s a thought. No one needs to hear you clear your throat and act like you’re the be-all and end-all of a high school softball game. These are kids playing a game. 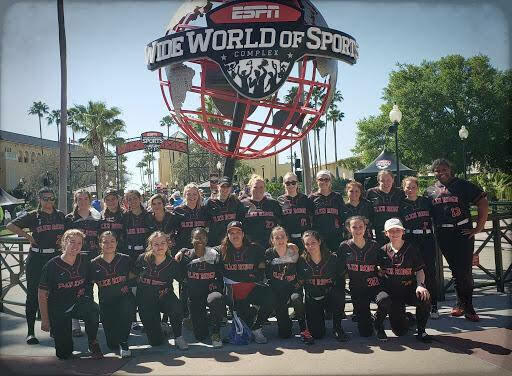 You’re there to make sure a player is safe, or out, in the field, and that the game is played properly, within the rules of high school softball. There are plenty of schools that announce a player’s name before they step into the box, there are plenty of schools which play music in between innings. It’s called entertainment. It’s not your place to take away an enjoyable time for kids and fans to hear a song, for a grand total of six seconds. which in no way interferes with a pitcher throwing, or a batter hitting. Growing up in Belleville, Joe Spina long had an interest in wrestling, and was an excellent grappler at Belleville High. 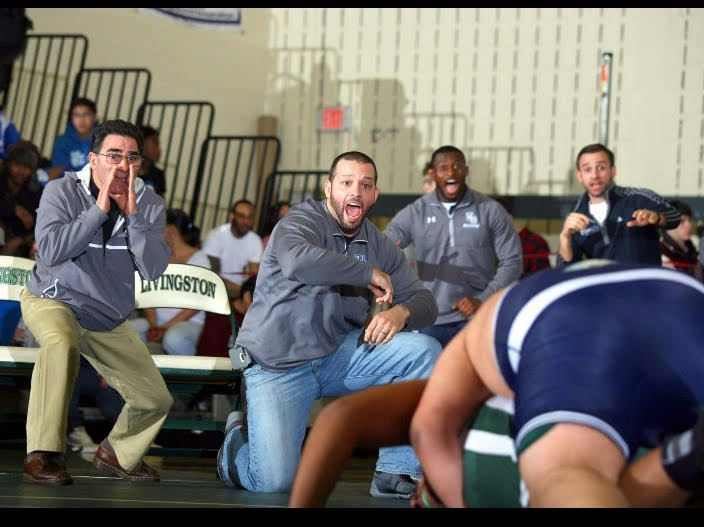 That same hard-nosed commitment to be a good wrestler has been applied to Spina’s professional life, as an educator and coach, in the West Orange school system. 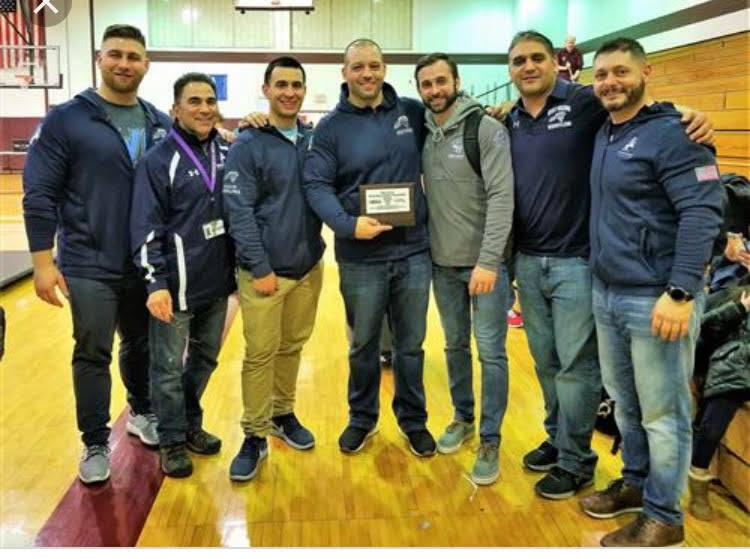 Joe was named the District 12 assistant wrestling coach of the year for the 2018-2019 season. In his ninth season at West Orange, Spina’s success as a coach and mentor shouldn’t really be a surprise. Joe’s older brothers, Carmen and John, are also outstanding coaches. Carmen, a tremendous all-around athlete at Belleville High and the MVP of the 1990 Belleville-Nutley football game, has found success as a baseball coach at Rutherford High. John, also an excellent athlete at Belleville, has returned to his alma mater as a teacher and volleyball coach, for the boys and girls teams. Carmen, John and Joe also has a younger sister, Maria. Joe was graduated from Belleville High in 1999, eight years after Carmen went through those doors of the Blue and Gold. Joe was a good wrestler for the Bucs and coach Joe Nisivoccia, wrestling at the 215 pound weight class. As a senior, he finished third at Region 4 and advanced to the super regions. 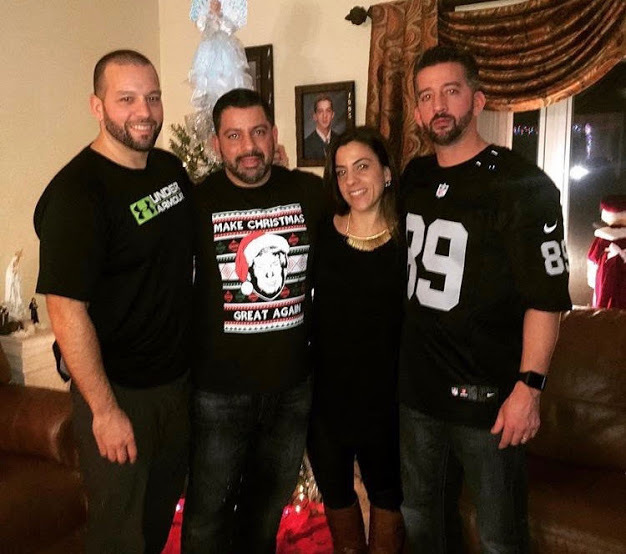 Following high school, Spina attended New Jersey City University and realized a career in education and coaching would be in the cards for him, as well as his brothers. West Orange head coach Stephan Zichella was proud of Spina earning the accolade from District 12. “Joe has been coaching at West Orange since the 2010-2011 season,” said Zichella. “He previously coached at Hanover Park High. Coach Spina is regarded as one of our finest educators in West Orange. However, most do not know what an exceptional coach he is, but I do. Joe and his wife, Dana have two children, Olivia, 8, and Joseph, 4. Joe teaches Special Education in West Orange. Zichella felt the accolade was long overdue. It was an early-season Super Essex Conference (SEC) crossover game, on a Saturday afternoon, with (finally!) some decent weather. And while it might not mean a great deal as the season progresses, Montclair and Glen Ridge gave a good account of itself on a sparkling day at Glenfield Park, in Montclair, which is actually Glen Ridge’s home field. Montclair won the game, 9-2, but both teams showed a lot of good signs. For Montclair, there was some crisp hitting and clutch pitching while Glen Ridge displayed good defense, especially in the outfield. Montclair coach Mike Goldstein was also impressed, with both teams. Glen Ridge plays in the SEC Colonial while Montclair competes in the SEC’s Liberty Division. Both squads are young. 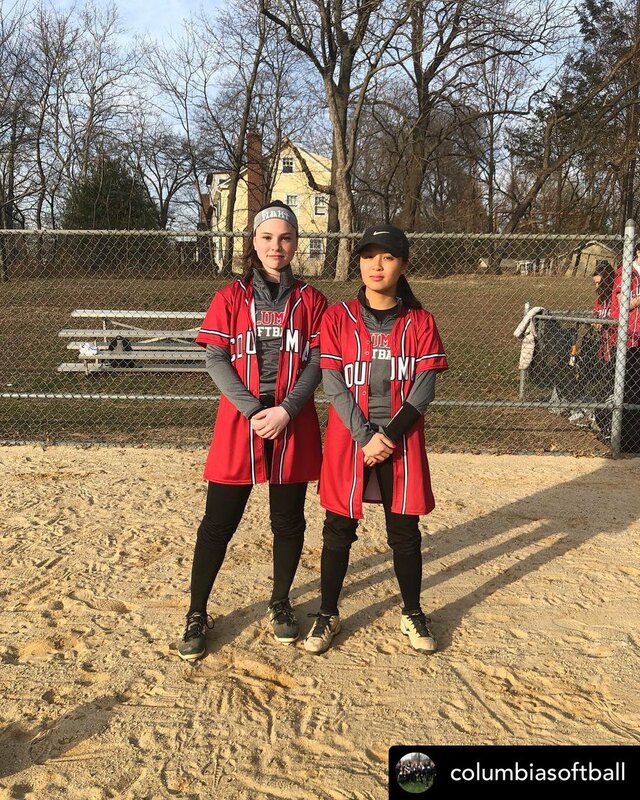 The Mounties were led by Francesca Testa and Aliyah Andrews, each of whom had three hits. Testa also scored twice and hit a double and triple. Charlotte Carr and Madeline Flynn had two hits each for Montclair. Flynn is a sophomore and Carr, a junior. In the circle, Emily Amirata pitched four solid innings and got the win while Aliya Andrews hurled three strong innings in her first outing of the season, after battling an injury. Andrews could be a key to Montclair’s pitching rotation this spring. Amirata and Andrews combined to scatter just five hits. While Montclair hit the ball well, Glen Ridge stepped up with some good defense. The outfield play of Catie Lamberson, Taylor Townson and Olivia Link kept the Mounties from scoring more. Freshman catcher Elettra Giantomenico, who is quickly becoming a big 3-sport star for the Ridgers, had a hit, RBI and stolen base and Lamberson and Ava Rollo also had a hit and RBI. Elizabeth Komorowski had a hit and scored once. A special day is nearing for the Belleville High softball program. On April 13, the Bucs will host four varsity softball games, with the theme”A Day for Dina’, as the team and community remembers the late Dina DeAquino. Dina died last year after a valiant battle with cancer, at the age of 52. In the long and storied history of Belleville High softball, DeAquino is considered by many as one of the first dominant players in the program’s history, especially as a pitcher. There will be four games played at the Corino Softball Complex, at Clearman Field, on April 13, with the plans to remember DeAquino in between the second and third game. This is the list of games. Montclair vs. Lyndhurst at 9:30 a.m.
Belleville vs. Leonia at 11:30 a.m.
A celebration will follow the Belleville-Leonia game, with a few speakers talking about Dina, including former head coach, Carl Corino. 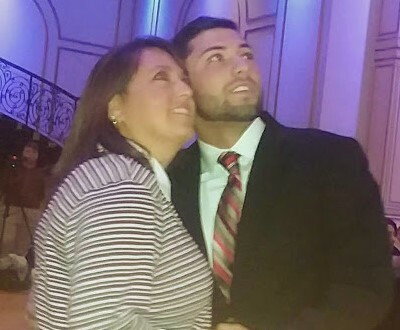 Cedar Grove vs. Union Catholic vs. Cedar Grove at 2 p.m.
Fair Lawn vs. Hanover Park, at 4 p.m.
There’s much more on Dina’s legacy by clicking on the link below. All five Wayne Hills football team captains for 2018 will play on the collegiate gridiron this fall, as Anthony Puntolillo announced his intention to play at Delaware Valley University, in Doylestown, Pa.
Puntolillo, a linebacker and fullback for the state champion Patriots in 2018, only knew one speed when it came to play for the Patriots. He’ll apply that same passion to the next step in his athletic career. Delaware Valley has put together some incredible seasons in football. Last year’s team was 9-2, the 2017 squad finished 11-1 and the 2014-2016 teams were also each 9-2. In addition there was an 11-1 campaign along with a 9-3 and 8-3 season over the past decade. Anthony is the son of Georgia and Anthony Puntolillo. His younger brother, Christian, is expected to play a major factor for the 2019 Patriots. Anthony hopes to play linebacker on the collegiate level. Wayne Hills football coach Wayne Demikoff feels Puntolillo will do well at the next level. Puntolillo had a tremendous senior year for Hills, which finished 11-2 and won a tenth state championship in the program’s history last fall. The Patriots also won the first NJSIAA ‘Bowl Game’, defeating Philliipsburg, 35-21, at MetLife Stadium, on Nov. 30. Anthony was second on the team in tackles, with 96 last fall. He also had five tackles for losses, two quarterback sacks and registered an interception. A blocking fullback on offense, he helped paved the way for an explosive attack which accounted for over 4,900 yards. All five team captains at Hills in 2018 have committed to playing college football. Bence Polgar will play at the University of Buffalo, Joe Rondi is headed to Syracuse University, Jaaron Hayek will play at Villanova and JoJo Mongelli is going to play at Caldwell University. Mongelli’s passion on the football field made him a big part of two state championship teams at Hills. His devotion to family and friends will be a part of his life for many years to come. Mongelli announced that he will attend Caldwell University this fall, where he’ll play for the Cougars’ sprint football team. Sprint football has gained a lot of popularity over the years, and Caldwell, an NCAA, Division 2 school, is in its early stages of playing the game against some of the top schools in the country. The Cougars are coached by Nutley, NJ native, Jim Kelly. Mongelli is very pleased with his college choice. “Caldwell seems to be a great fit, allowing me to attend a Catholic university and play college football close to home,” said Mongelli. “Having my family be able to come to games was very important to me. The league Caldwell plays will allow me the play at great places, like West Point, Annapolis and Cornell. Kelly, a long-time high school coach and educator, was excited that Mongelli, a speedy tailback, chose Caldwell. Mongelli battled back from a serious knee injury to have a solid senior year at Wayne Hills, as the Patriots won a tenth state championship, and added an NJSIAA Bowl Game title, as well, to an 11-2 season. One of five team captains, Mongelli rushed for 366 yards and averaged nearly 7 yards per carry while scoring five touchdowns this year. On defense, he had 29 tackles, including four for losses, one sack and recovered two fumbles. All five team captains at Hills in 2018 have committed to playing college football. Bence Polgar will play at the University of Buffalo, Joe Rondi is headed to Syracuse University, Jaaron Hayek will play at Villanova and Anthony Puntolillo is going to play at Delaware Valley University. Wayne Hills head coach Wayne Demikoff feels Mongelli will do well at Caldwell. Mongelli is happy his decision is finalized. Mongelli plans to double major in Criminal Justice and Psychology at Caldwell. 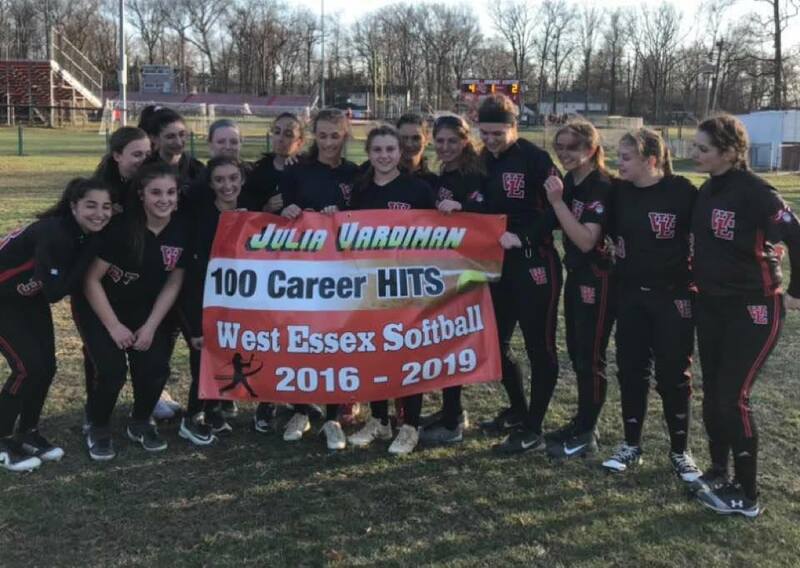 Since she first stepped onto the field as a precocious freshman shortstop for an Essex County and state championship team in 2016, Julia Vardiman has never lacked confidence in her abilities. Now as a senior on a young West Essex softball squad this spring, Vardiman seemingly has embraced her role as the team’s leading pitcher, as well as that tenacious edge which makes her a stud, both in the circle and at the plate. 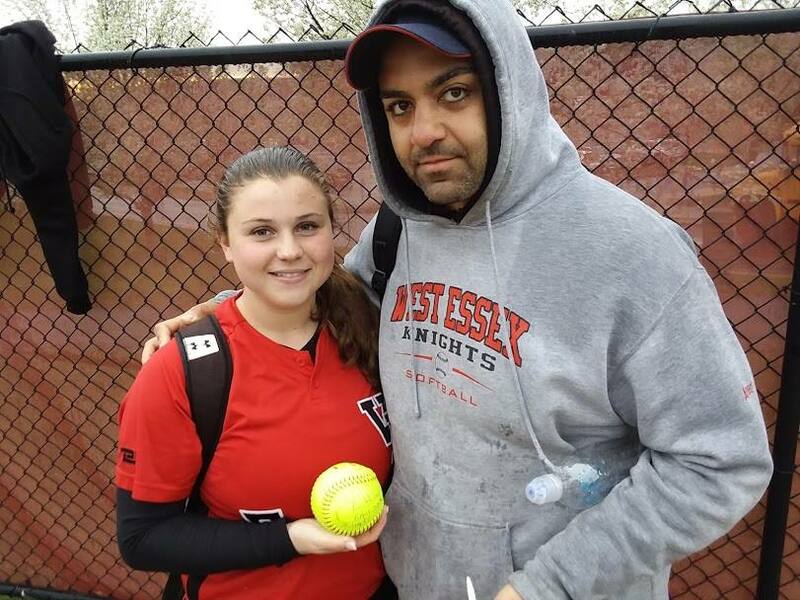 Vardiman spun a pair complete-game victories as West Essex defeated Super Essex Conference American Division foes Nutley, 4-2, and Verona, 3-2, to improve to 2-1 on the season. Vardiman bore down when her team needed it most, holding Verona to a pair of runs in the sixth and seventh innings, when the Hillbillies appeared to be in position to score multiple runs. 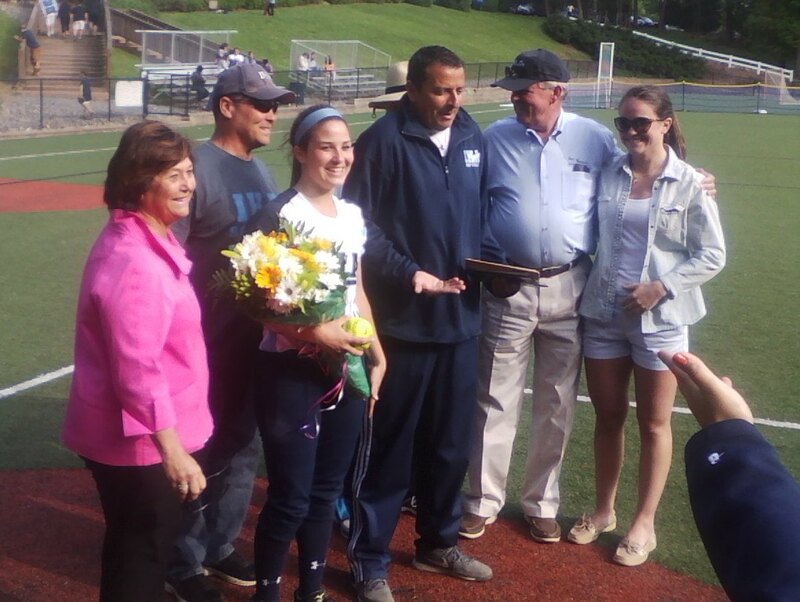 Her offense was also on display, as Vardiman had two hits against Nutley, at home, including her 100th career hit, and had a big double to spur a rally, at Verona. West Essex also got clutch hitting from Jordan Ruffer, Jenna Sperduto, Gianna Waack and Jessica Cola to defeat a good Verona squad. Despite graduation taking a major toll over the past few years, including Alexa Vardiman, Bridget Betley, Amanda Garofalo, Sami Huetter and Lily James, the Knights appear ready to be a force in the SEC American. Verona will also be tough, especially with senior pitcher Christina Colon. Despite falling short against West Essex, Colon struck out 15 batters and has recorded 44 strikeouts in her first three games, as Verona opened 2-1 through games of April 4. Livingston and Columbia met up in an important early season SEC Liberty game, in South Orange, on April 3, with Livingston rallying from 3-0 down after five innings to storm past the Cougars, 8-3. Columbia coach Cliff Smith noted Livingston’s aggressiveness. Columbia’s sophomore pitcher, Sydney Waldon, pitched well and worked out of jams in the first and fourth innings to keep Livingston off the scoreboard. Junior shortstop Hudson Hassler, a team captain this year, drew three walks and spurred a pair of rallies. Claire Salinardo continues to excel behind the plate and had an important hit to drive in a pair of runs for Columbia. Olivia Miller has also been important to Columbia and showed her mettle when, with her team down five runs in the bottom of the seventh, with two outs, fouled off numerous pitches before getting on base. Columbia took a 1-1 record into its scheduled game, at Montclair, on April 5. No FMTC Top 10 this week, since the season is still pretty young.